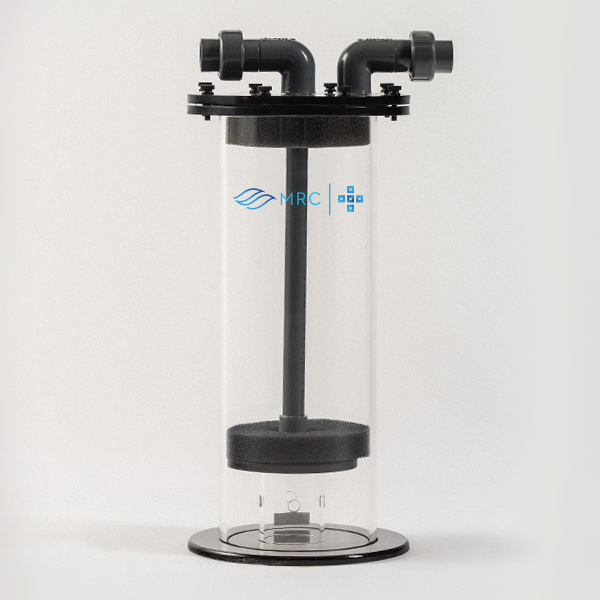 MRC® reactors are compatible with most filtration medias. Use your favorite brands in the most efficient means possible. Phosphate reducing medias (GFO, etc.) work best when they are gently tumbled. 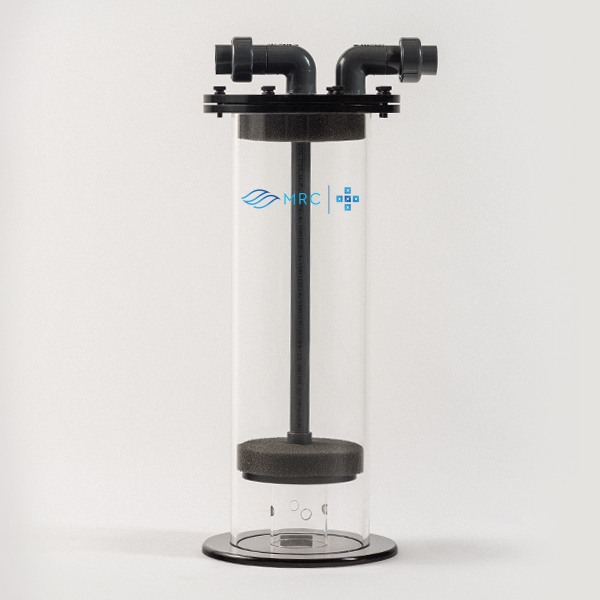 MRC® media reactors are designed to thoroughly use your media and keep it out of your aquarium. By removing tannic acid and other contaminants, your high dollar lighting will be able to better penetrate the water, making those corals thrive and fish colours pop. With a true reverse flow design and heavy duty media pads, you get a nice, even use of media, while keeping it contained inside the reactor. 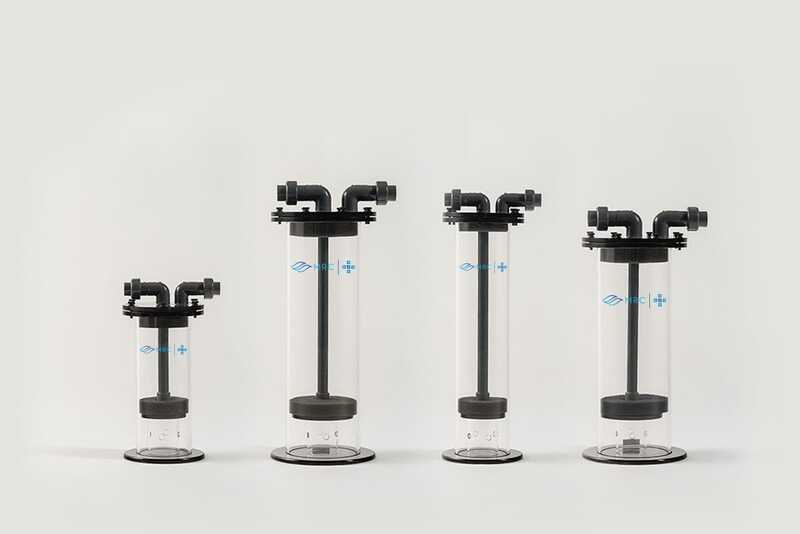 Having cleaner water doesn’t have to be convoluted. Reduce phosphate, tannic acid, and nitrate simply and easily without all the hassle and headache. 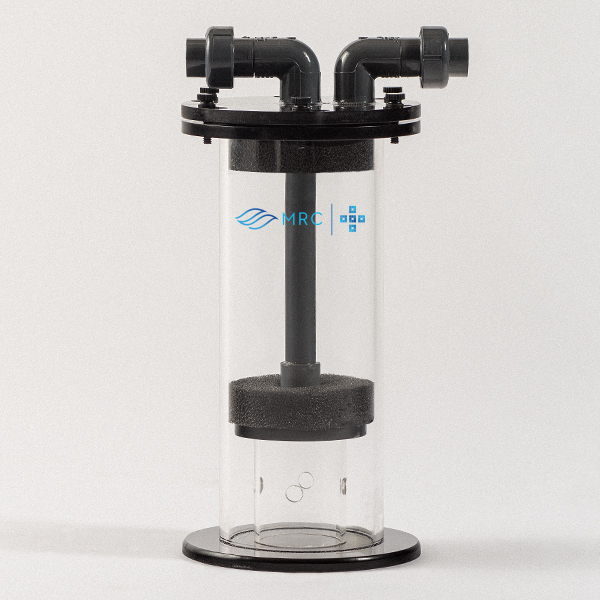 The MRC® FMC is perfect for use with activated carbon, phosphate control media, and many other substrates and medias. 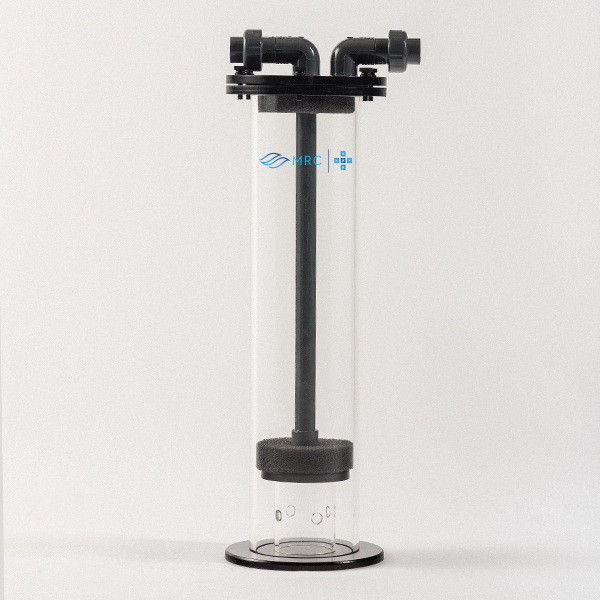 MRC® Fluidized Media chambers are fabricated using American 1/4″ cast acrylic tube, 3/8″ cast acrylic, and heavy duty Spears unions, giving you the most durable and beautiful reactors available. These are not the flimsy units that you may have seen at your common pet store; these are professional grade tools worthy of your system. Don’t settle for anything less than MRC®. 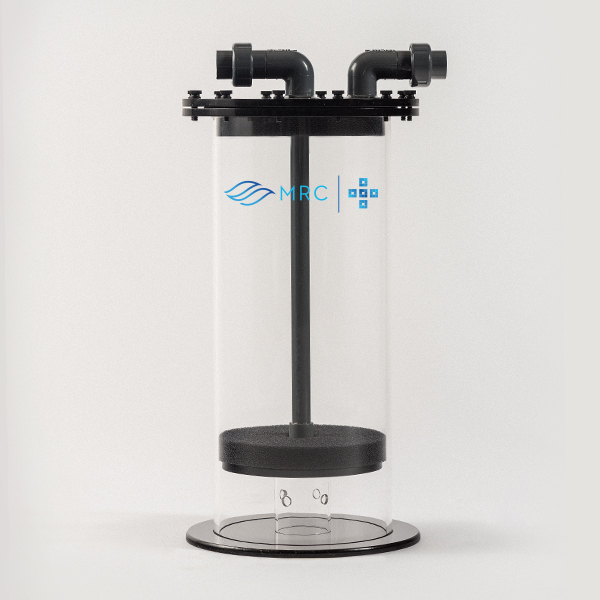 Looking to purchase your new MRC® +Series™ Fluidized Media Chamber? See where your nearest authorized dealer is located.